Don't forget anything when you're rushing from work to training with this Reebok ACT Core Training Backpack in Black. Keep all your workout essentials stored in one place when you use this backpack that makes being in a rush that bit easier. The large zipped compartment is good for storing your training belongings. It comes with cushioned, adjustable shoulder straps to help lighten the load whilst remaining comfortable. 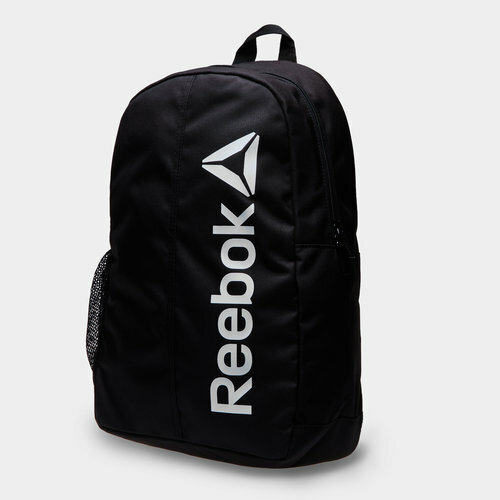 This bag comes finished with the iconic Reebok logo vertically placed along the front.